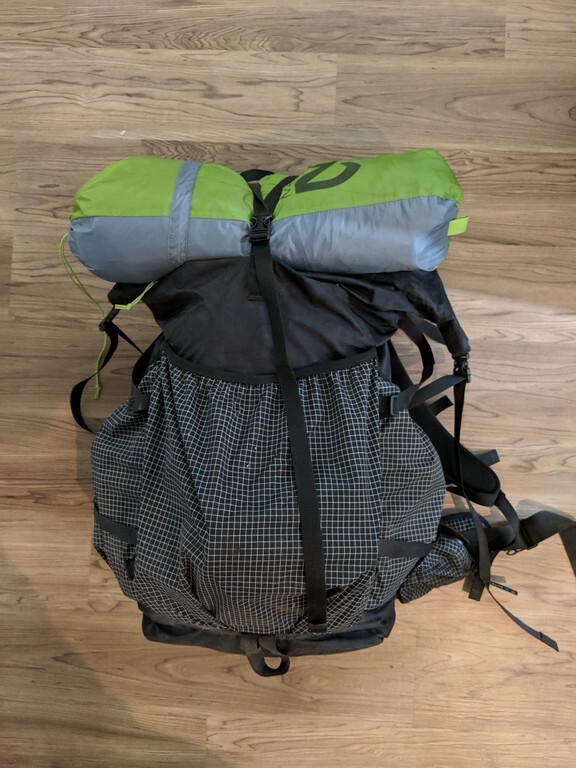 I recently posted a quick side by side comparison of the Hyperlite Mountain Gear 3400 vs. 4400 Southwest and wrote why I recommend the larger of the two. In this post, we will do a deep dive into this amazing pack, and take a look at all the great features, and a few little things I think can be improved. I own the medium size which weighs in at about 2.40 lbs or 38.34 oz as stated on the HMG website. I currently do not see the black version for sale, but I believe it weighs slightly more because the material is a little bit heavier for the black. The internal volume is 70L, with an additional 9.8L external carry in the back and side pockets. Total capacity is 79.8L, and HMG rates the Load Capacity for 60 lbs. 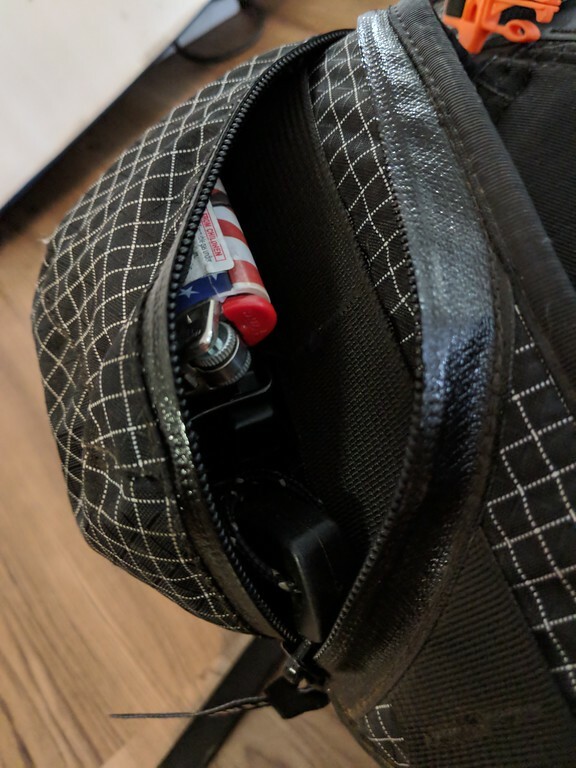 Looking down inside the HMG 4400 Southwest, you can see the two removable, contoured aluminum stays, along with a pouch for holding your water bladder and a loop to hook your water bladder onto. If you are using a water bladder, there is a small cut out for the tube to come out over your right shoulder when wearing the pack. If you do not plan on using a water bladder, the cut out securely velcros shut. And when I say securely, it's pretty tough to open, and although not 100% waterproof it will definitely keep water from getting in during a big rain storm. If you have never used an Ultralight pack or roll top pack, their pretty simply built and obviusly light. What you lose is pockets everywhere, and this could be a positive or a negative depending on how you like to pack your pack. 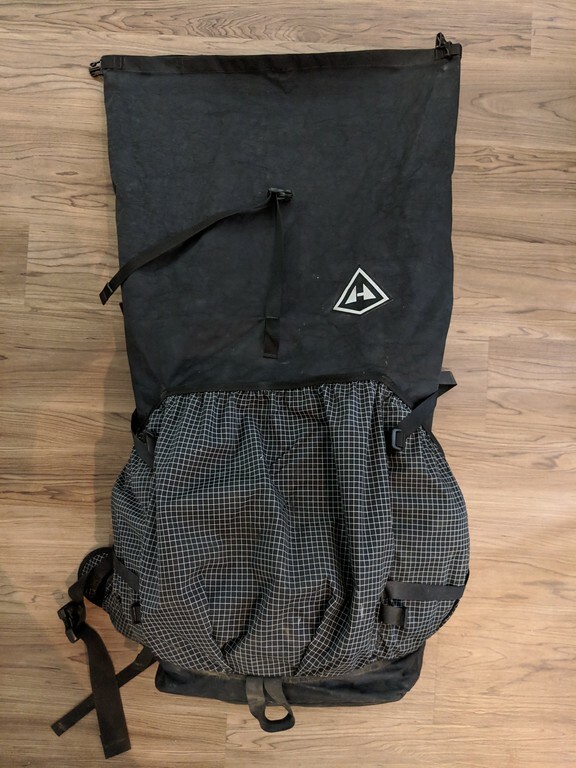 I came from an Osprey pack, and it took me a little getting used to not having a pocket for everything. 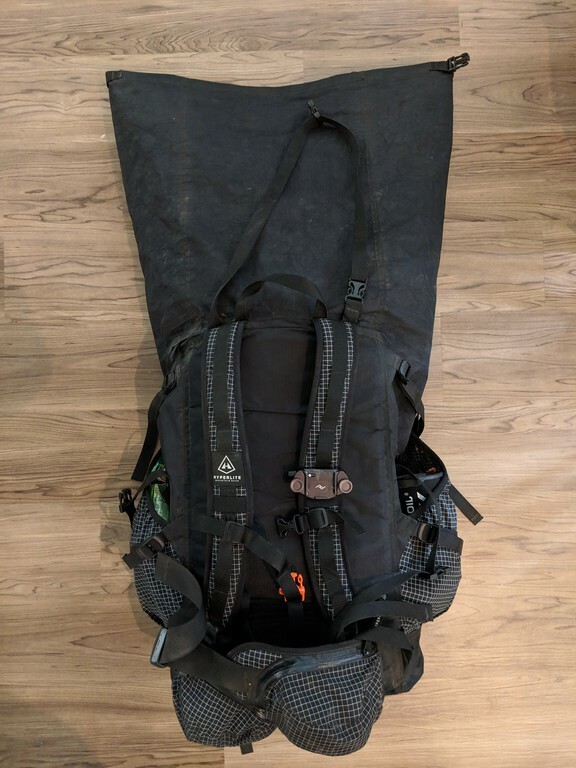 The best way to pack the HMG 4400 Southwest is to buy lots of stuff sacks and their amazing pods (I will have to do a separate review on these). 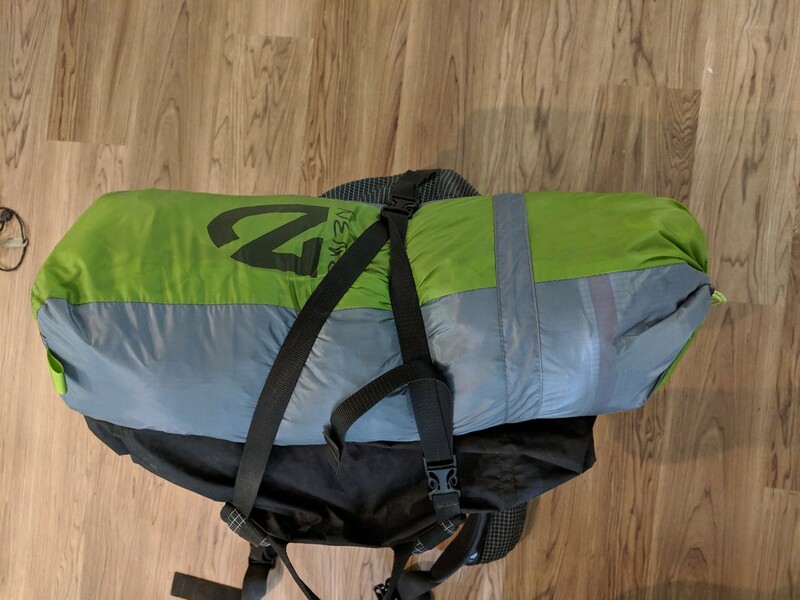 The trick is to keep everything for camp for the most part on the inside, and snacks and other things you will need while hiking in the side and back pockets. 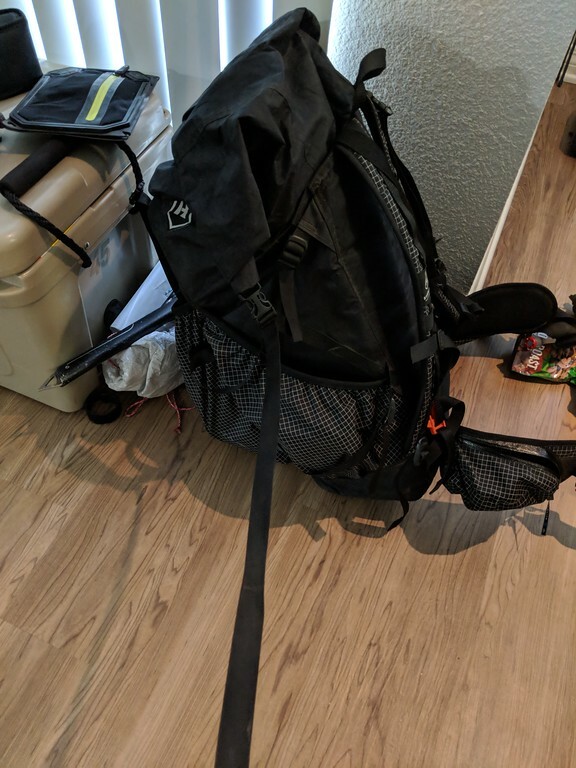 If there are things, you will need to access during the hike that must go inside, keep them toward the top, so you are not unpacking your entire pack on a break to get one item out. 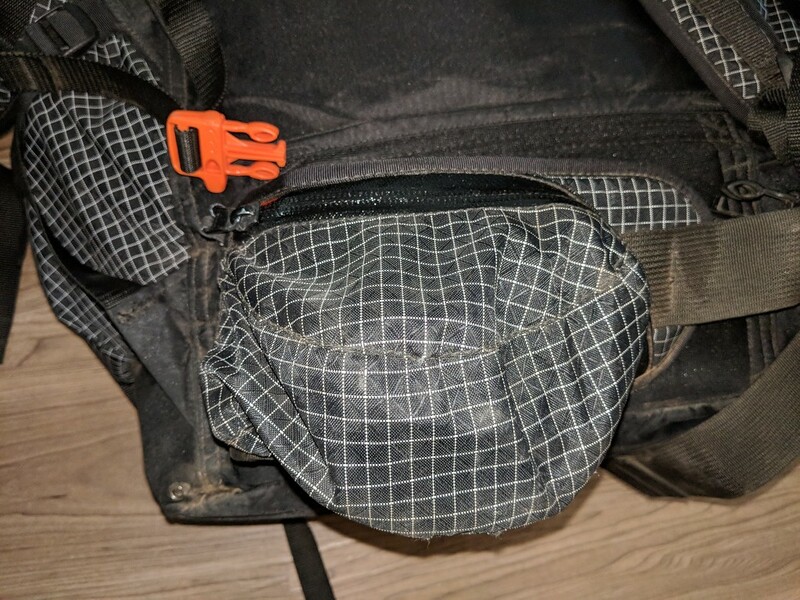 This brings us to the hip pockets...often the most hated feature of the HMG packs in most reviews that I have read online. Personally, I don't mind them; they are not gigantic, and not too small, I think they are just right in size. The issue with the hip pockets is that they can be a pain to unzip and access items while hiking. 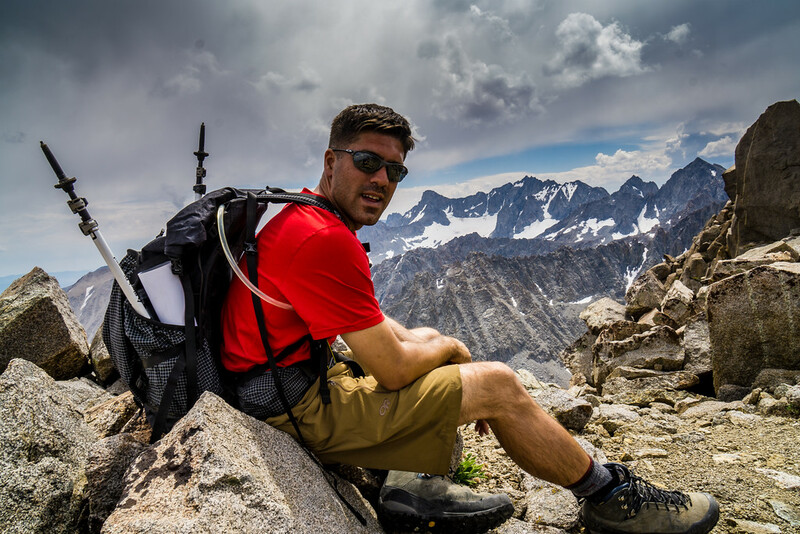 I personally do not use my hip pockets a lot while hiking, and mainly use them for small things I may need access to without rummaging through my entire pack. In this pocket, I have an extra camera battery, a flint fire starter, a lighter and a compass. In my other pocket, I may keep a small snack like an energy bar and my headlamp. 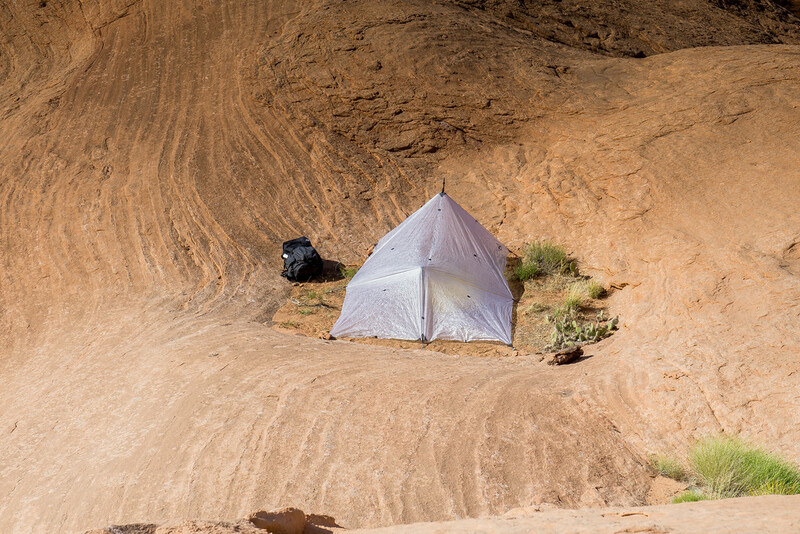 For carrying more substantial items such as a tent or a foam sleeping pad, there are a couple of different carry options. 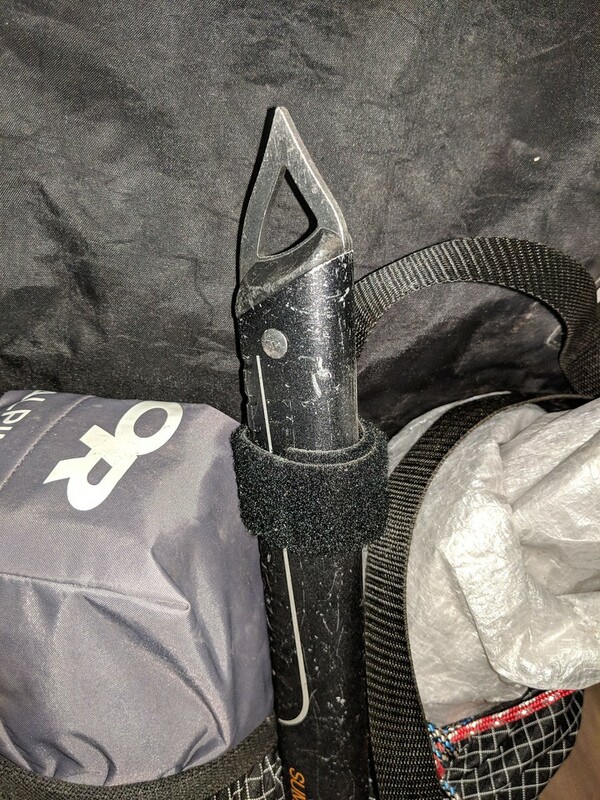 First off to have the ice ax in that location you need an extra piece of string or velcro to hold the top in place, HMG just gives you an attachment point for the top of the ax, and you need to attach the top yourself. With the ice ax strapped in the middle, it can make taking gear out of the main pouch a pain. 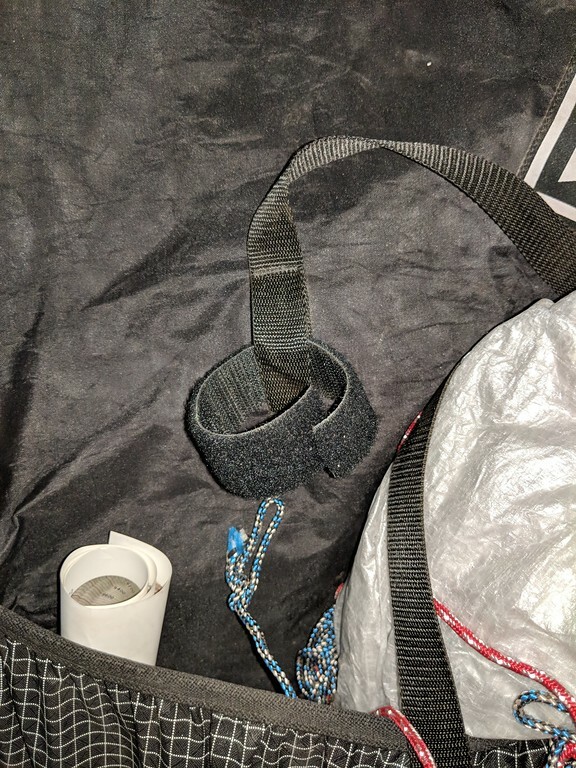 I would recommend, placing two ice ax loops on this pack and placing each one between the rear pouch and each of the side pouches. 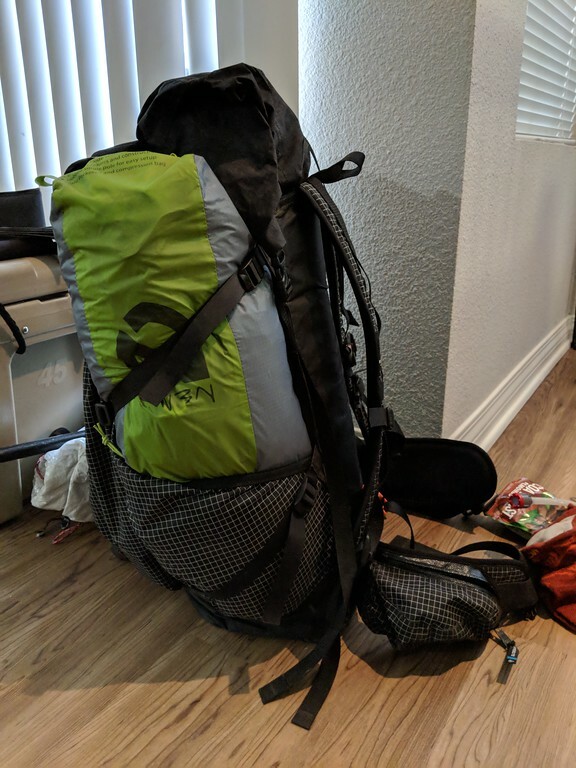 My second biggest gripe is strap management... there are a lot of straps that when strapped down make you look like spaghetti while you are hiking. I am tempted to sew in small velcro straps to clean the pack up once I am all packed up. This last small "complaint" is less of a complaint and a more of "for your information" when you are looking at buying this pack. 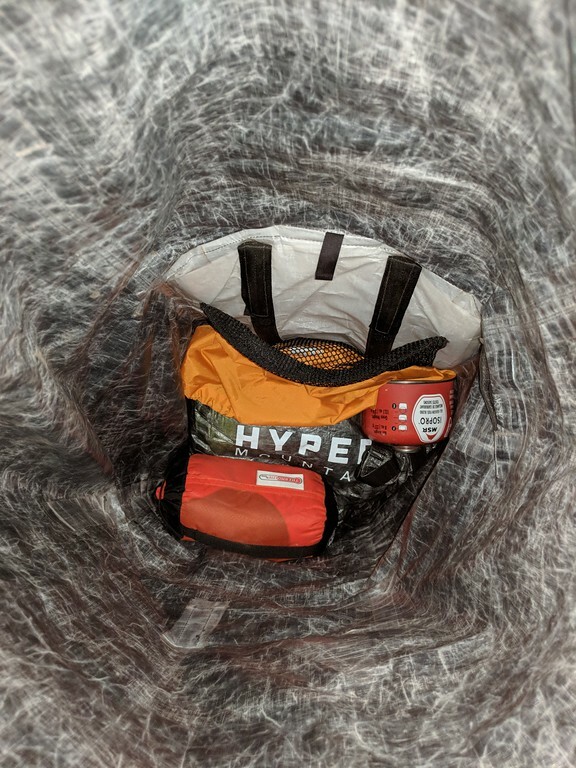 The pack is Dyneema, which is 100% waterproof (which is excellent) but as a result, it is not very breathable. What this means for me, is that my back gets super sweaty while hiking with this pack on, and I have yet to hike in a humid environment. This to me is a small price to pay for a wonderful backpacking pack! I will end this post with a quick discussion on durability. 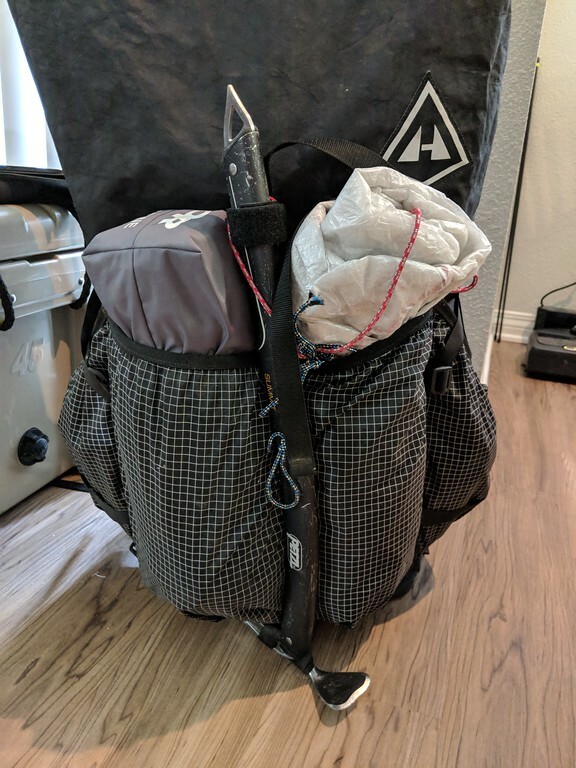 So far this pack has held up amazingly well, I have taken it on multiple trips in the desert and the snow, and not one thread is out of place on any of the stitching. The only wear that is showing is at the bottom of the pack; it gets beat up every time you throw it down. I would recommend looking out for sharp point rocks when sitting down with your pack on or placing it on the ground. If there is anything that I forgot, please ask, and I will update this post as we go! If you have used the 44oo pack yourself, please let us know your thoughts in the comments your below! 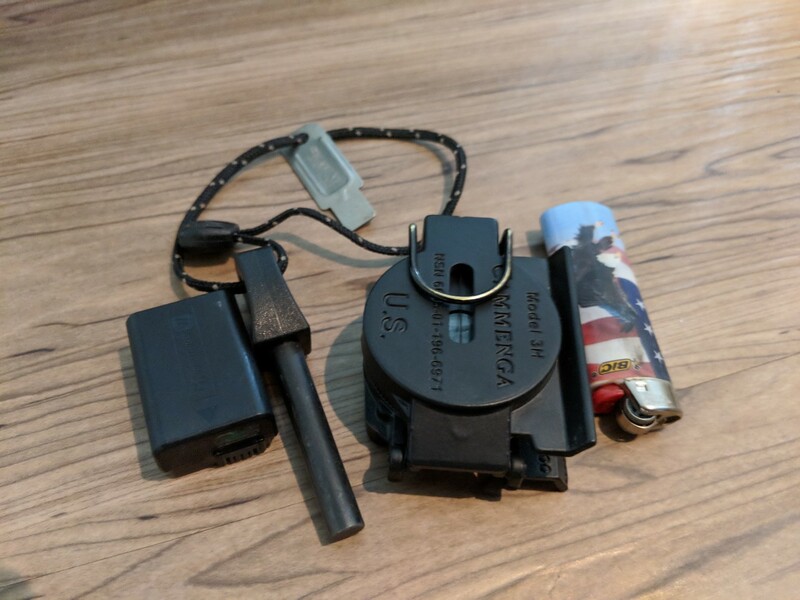 MikeJones This brings us to the hip pockets...often the most hated feature of the HMG packs in most reviews that I have read online. Personally, I don't mind them; they are not gigantic, and not too small, I think they are just right in size. The issue with the hip pockets is that they can be a pain to unzip and access items while hiking. 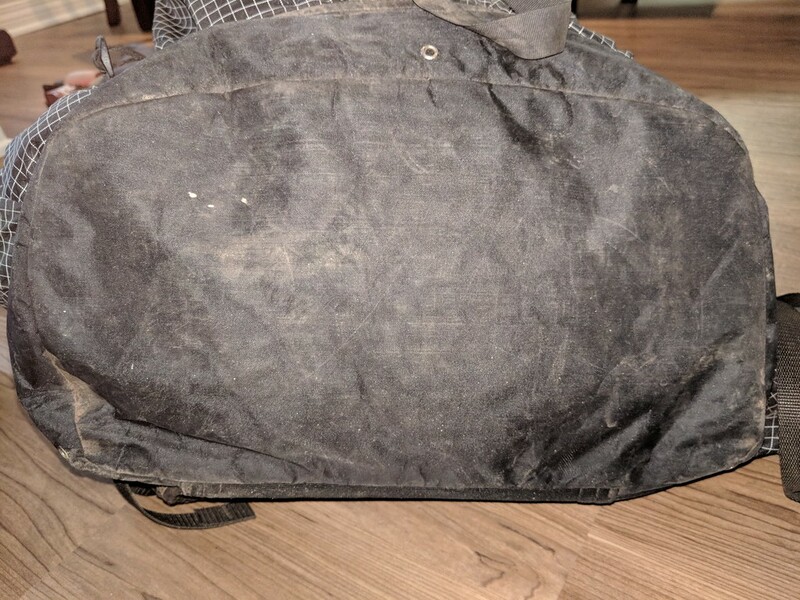 I personally do not use my hip pockets a lot while hiking, and mainly use them for small things I may need access to without rummaging through my entire pack. So it looks like HMG finally fixed the hip belt pocket! 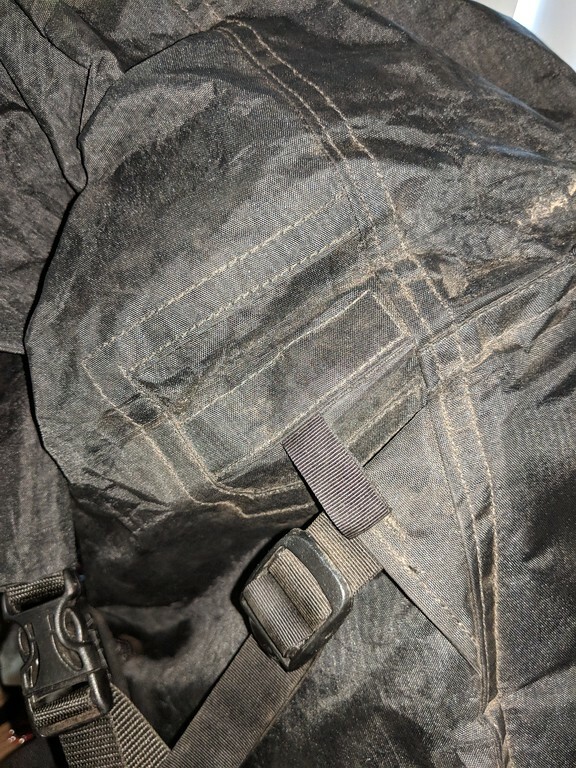 I made a new post here for discussion on the new hip belt pocket. Awesome, thanks for the review! Been thinking of buying one of these myself. I am excited to see your review of the HMG pods once you put that up! CaliHiker I probably should have written at least a little more about the pods in this post. The fact that HMG makes custom pods that fit the exact circumference of the pack is definitely a killer feature of the pack!